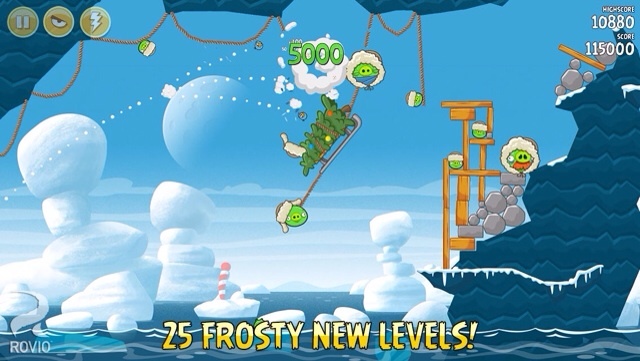 Angry Birds Seasons has been updated with 25 new Arctic Eggspedition levels plus 4 bonus levels. Pack your bags for an Arctic Eggspedition with 25 festive, frosty, and fun-filled levels! Plus 4 bonus levels! Things get a bit chilly as you fling the birds through the cold air and under the icy waters for a surprise attack! NEW FROSTY LEVELS! Get in the festive spirit with 25 advent calendar levels – one for each day before Christmas! Plus get 4 bonus levels! NEW ICY ARCTIC THEME! Take an Arctic Eggspedition and face sub-zero temperatures, large blocks of Arctic ice and some rather cold piggies! UNDERWATER ATTACK! 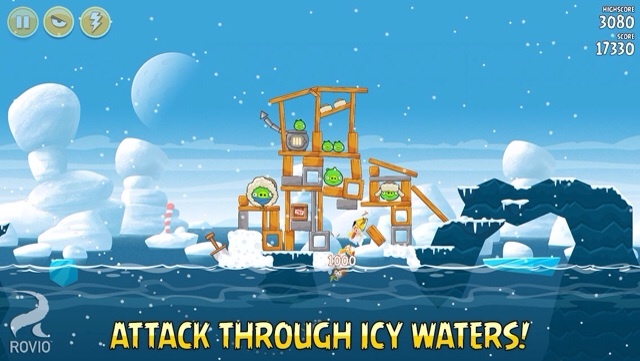 Plan a surprise attack by flinging our frosty feathered friends under the icy Arctic waters and up toward those pesky pigs! 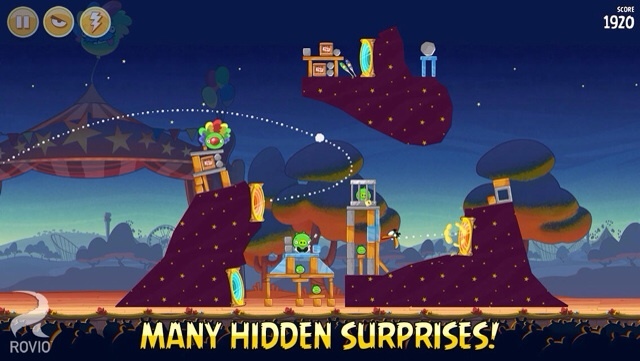 You can purchase Angry Birds Seasons from the App Store for $0.99.